A Just Society for all. Production Cooperative owned by fifty families. A few years ago this was unproductive land. In the wake of these aims, the Movement is against multinationals possessing large portions of land, sometimes bigger than many countries in Europe. It favors the extinction of the improductive fazendas and the just redistribution of the land among peasants. 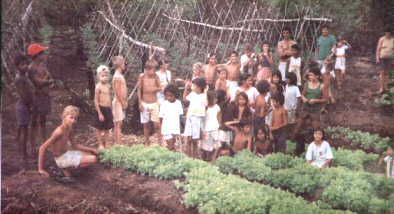 The Movement defends Brazilian Amerindian land against the encroachment of the Brazilian- and foreigner-held estates. It makes it a point to bring to the courts the murderers of harmless peasants killed because they wanted a decent living on a farmland. In Brazil the Landless Peasants´ Movement has been organized in 22 states. During these twelve years, almost 140,000 families acquired land. The most important achievment is that the majority of these already settled families organize themselves in production cooperatives. The families´ standard of living immediately increases, especially where agroindustries are developed. According to FAO the average monthly family wage in the settlements is aproximately $ 370 while in the cooperatives the average family wage is $ 560, higher than the national average of $ 110. 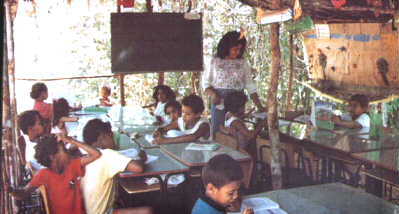 School for children in one of the camps. The technical and the political formation of the new settler families is a priority to the Movement, especially with regard to education (which is synonymous to conscience-raising plus schooling and not to mere literacy). The Movement has 38,000 students with 1,500 teachers. Many leaders have been trained as teachers and administrators of cooperatives so that they could continue the work among millions of peasants who are still landless. Thirty young men are reading Zootechny, Agronomy, Law and Administration at the universities. 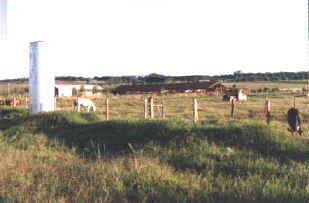 Before occupation the Fazenda São Joaquim (2.835 hectares) in the municipality of Teixeira Soares, Paraná, had 1 family, no crops, 2 horses, 10 acres of pasture. The owners were absentees and lived in Curitiba. After the occupation by landless peasants and without receiving any help from the government, 107 families now live on the fazenda. In 1994 they produced 20,000 sacks of corn, 1.100 sacks of beans, 600 sacks of rice. At present they have 530 cows, 600 pigs and 80 sheep while 30 houses, a primary school and a health centre have been built. Through hard work, determination and with the chief aims in mind these ex-landless peasants have organized themselves and achieved a "miracle". For the first years the estates of the Peasants´ Agrarian Reform are collectively owned. The Movement is very particular in inviting all the families in a recently-acquired settlement to form a cooperative and an agroindustry. The Movement knows that if land, acquired with extreme sacrifice, months of waiting in makeshift huts, legal struggles and even death of peasants, is left to the vicissitudes of individuals, the powerful landowners once more will slyly encroach on the same land and force the individual family to sell it. The formation of cooperatives has been the solution. 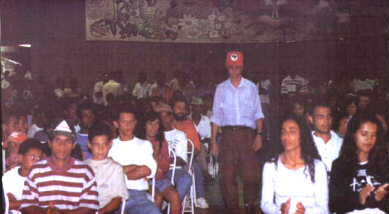 In 1996 there were 45 production and 10 regional cooperatives in various states, especially in the south of Brazil with an average of 81 and 428 members each respectively. who works successfully in the north of Paraná. At the initial stages of the Movement, financial help coming from the European Community (exclusively to pay lawyers) and church organizations (Bread for the World, Misereor, Cebemo, Icco, Christian Aid, Mani Tese, Development and Peace, Charitas) was fundamental for the organization. Today this is a trickle in face of the huge and dire necessities of the settlers´ colonies. On the other hand, the already landed farmer and the cooperatives contribute at the rate of 2% of production to those who still live in plastic huts on the roadside awaiting a piece of land. 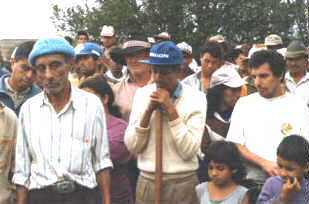 In the 167 land occupations with 44.647 families in 1996 the Landless Peasants´ Movement collected $ 12 million for the plastic huts, transport and food for 30 days. 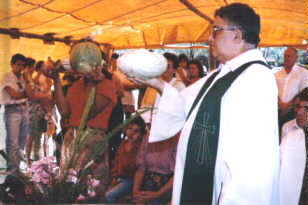 The Movement´s pressure on the government created the Procera (Special Credit Program for the Agrarian Reform) in 1996. This has been one of the chief means of social and economical development of the Movement´s settlers. 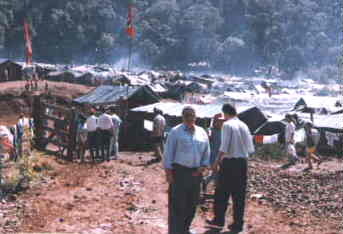 At present in Brazil there are 244 camp sites with 45,000 families especially in the south (Pinhal Ralo) and the north (Querência do Norte, Cruzeiro do Sul, Tamarana) of Paraná, in the Pontal do Paranapanema region in the state of São Paulo and in Mato Grosso. on the first anniversary of acquisition of land. These families live in makeshift plastic huts on the roadside near an unproductive fazenda. They are waiting for the technicians of the Agrarian Reform Institute to declare the fazenda unproductive so that they could plant crops for their maintenance. This is perhaps one of the largest land occupations in Brazil. in the south of Paraná near Iguaçu Falls. Normally they lack food, medicine and other basic necessities. Heroic determination keeps them on the dirt roadside. On the other hand, there are 1,564 Movement settlements, especially in the states of Rio Grande do Sul, Paraná, Sáo Paulo and Pará. The produce of the acquired estates is cooperatively owned and shared. Although their fledging agroindustries are still at the beginning, they help the landless camp people in some of their basic needs. 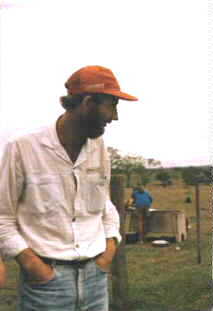 - INCRA (National Institute of Colonization and Land Reform) experts visit the fazenda to verify whether it is productive or not. - If it is improductive, INCRA sends a report to Brasilia to divest the owner of the property and to compensate him with a just sum of money. - If divestment is decided, a presidential decree is published and the evaluation of the property in money is made. - The process is sent to Treasury and the Federal Justice decrees on divestment of property. A socially-minded judge will give a quick solution to the question. However, intentionally, it takes some three to four months for a court to decide estimates. At this stage, difference in price between the court and the owner is the main obstacle. 5. improvements on the fazenda consisted of hedges, houses for henchmen and barns for which the owner asks hundreds of thousands of dollars as a compensation.